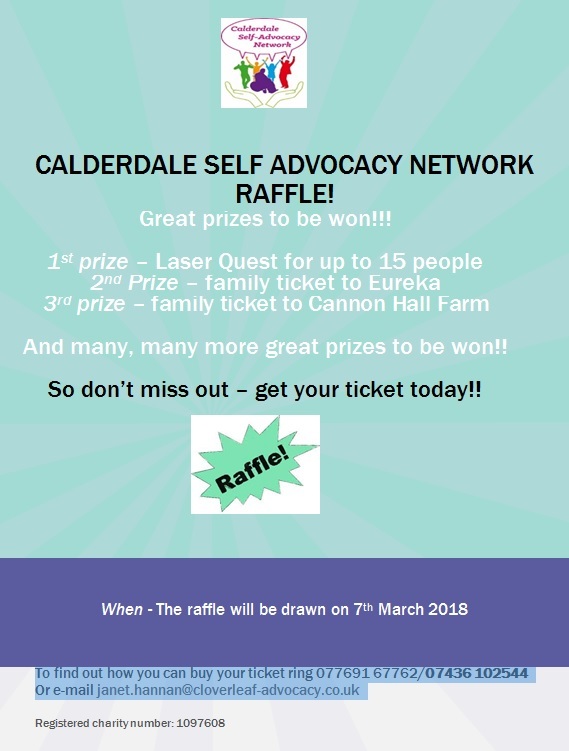 Great prizes to be won in the Calderdale Self Advocacy Network Spring-time Raffle! And many, many more great prizes to be won!! The raffle will be drawn on Wednesday 7 March and tickets can be purchased from the Lead the Way office at Threeways Centre.